A fairly typical summertime pattern continues out west as a series of low-pressure troughs move through. Coastal marine layer and breezy afternoons will continue as the low and high-pressure systems battle for control. 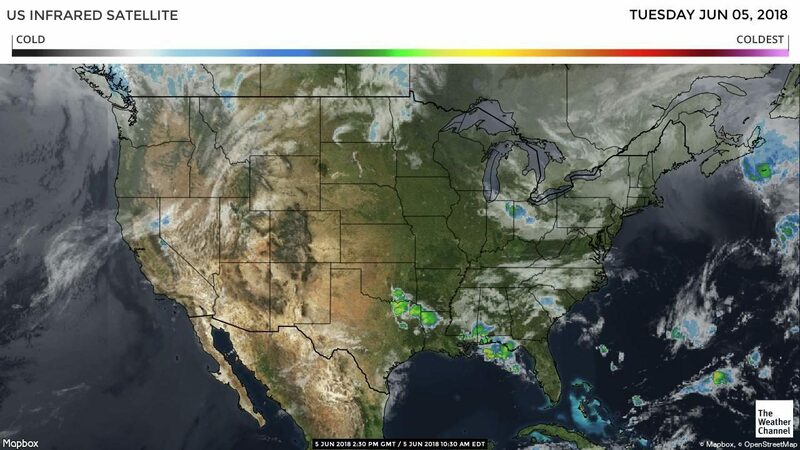 Warm conditions with isolated showers look to continue across Mexico as we monitor a couple of tropical systems developing in the Eastern Pacific. Forecasts expect further development of these systems later this week and bear watching closely. Scattered showers and thunderstorms look to continue across Florida with seasonal temperatures into next week. California trucks have been extremely tight and look to remain that way for the balance of the week as we deal with Road Check 2018. The DOT is cracking down on logbooks, equipment violations, and putting trucks out of service. CA freight rates continue to increase. Washington apple truck supply is steady. Idaho potato trucks remain steady as well. 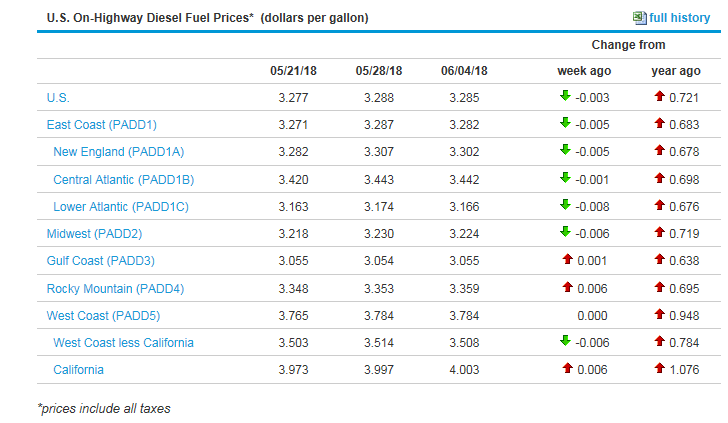 The national average on diesel remained steady this week and is currently at 3.285 per gallon. An increase of .721 from this time last year. California prices increased slightly and are now at 4.003 per gallon. Crude oil decreased slightly and are currently at 65.39 per barrel. Berries (Blackberries): Supplies are very limited and markets are higher. Berries (Raspberries): Supplies remain limited and prices are higher. Celery: Production in Salinas will begin in approximately two weeks. Berries (Raspberries): We expect Salinas / Watsonville harvest to start in the next 2 weeks and gradually improve as we move forward. Berries (Blackberries): Salinas and Watsonville will start in 2-3 weeks. Citrus (Limes): We will be entering peak production and expect harvest to remain steady for the 4-6 weeks.